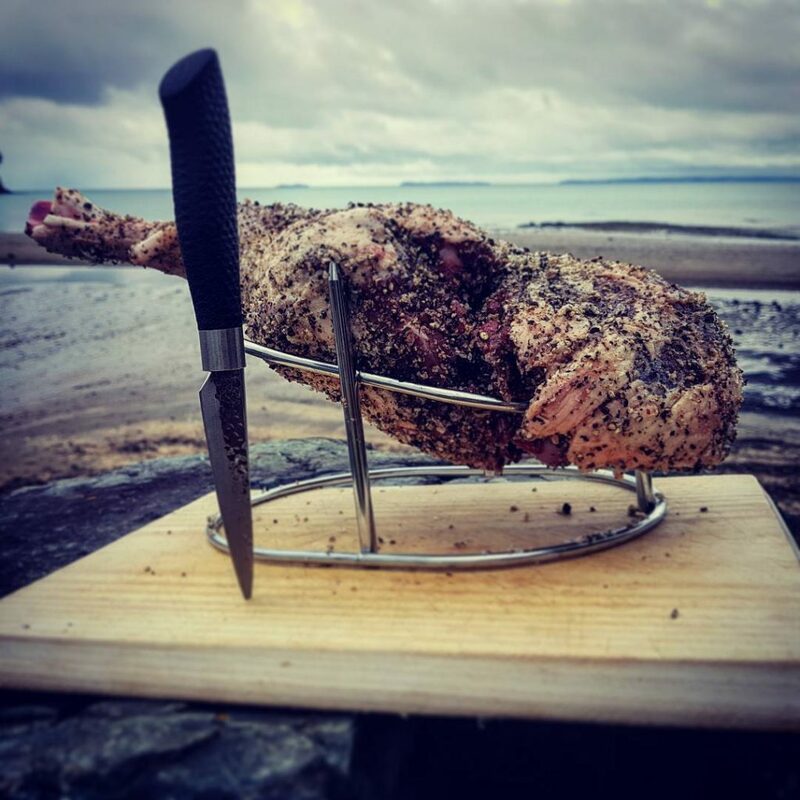 Lamb is practically built for smoking, especially shoulders and legs with connective tissue and fatty seams. I cook until the meat is tender. 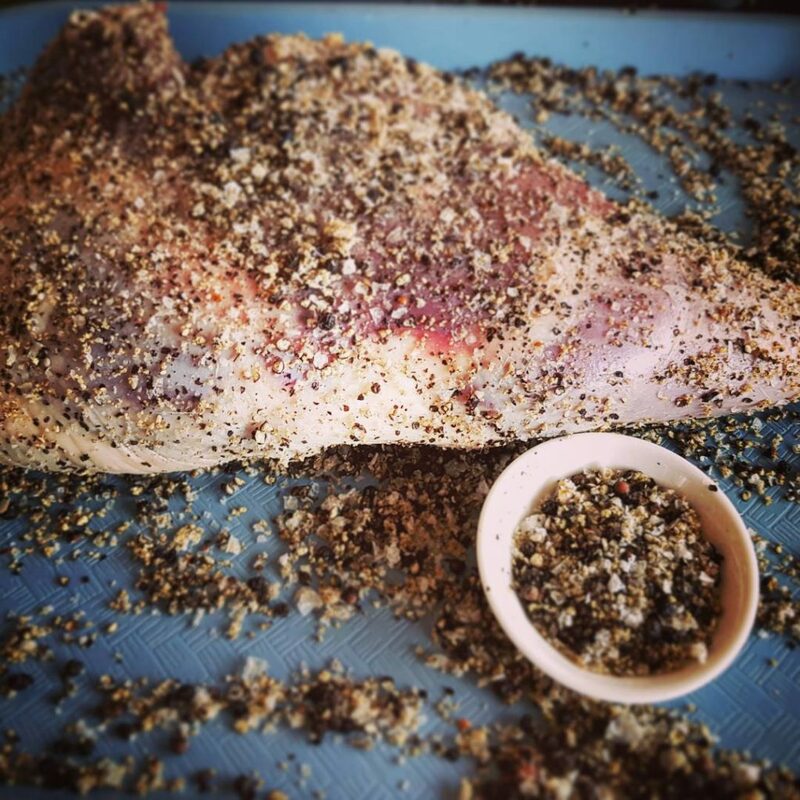 See the recipe for brisket rub for the crust. Pat the surface of the lamb dry with a paper towel. Apply the rub liberally, pressing it into the meat and making sure it's well coated with an even crust. Ready for the smoker. I've used a ham stand to lift it up off the smoker rack to ensure even coverage of smoke. If you have a wireless thermometer, insert the probe into the thickest part. 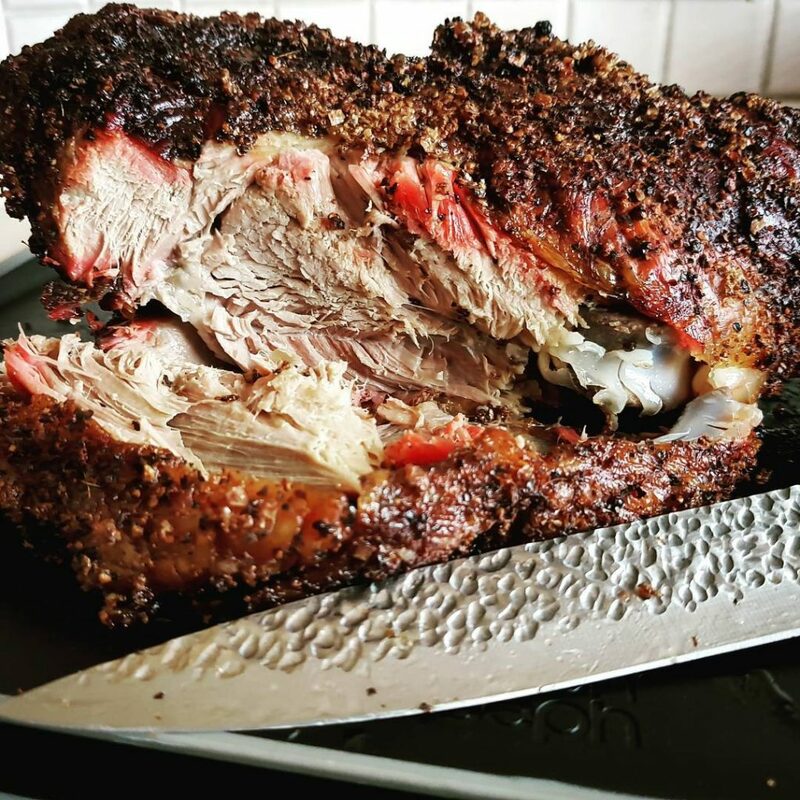 It's the easiest way to keep track of the internal temperature without having to constantly open the smoker. 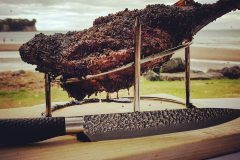 Smoke the lamb until the thickest part registers an internal temperature of 91°C for chopped lamb, or 99°C for pulled lamb. This will take around 9-10 hours.